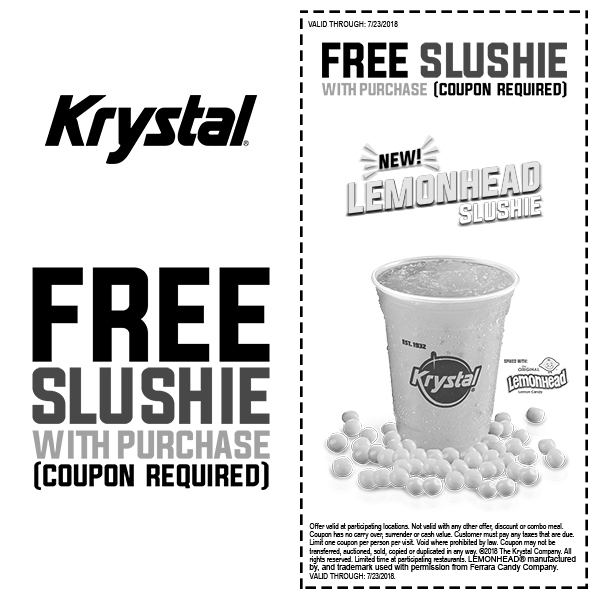 Krystal: Make any purchase and get a free slushie with this Krystal coupon. Offer ends Monday, July 23, 2018. Backpacks: Save up to 60% off backpacks at The Children’s Place. Offer ends July 23, 2018. Au Bon Pain: Use promo code BASTILLE with your online or app order and get $3 off an order of $10 or more. Good for pickup orders only. Not available at Duke University and some other stores. Offer ends July 23, 2018. American Tourister: 30-70% of American Tourister backpacks, underseat, carry-on & huge variety of other bags. Sale ends July 23, 2018. On The Border: has $2 Margaritas to celebrate Tequila Day. Offer ends July 24, 2018. Samsonite: Weekly Steal! Great deals on select Samsonite bags! Offer ends July 24, 2018.